I’m working late tonight, so not much rest for the weary or wicked (maybe slightly ;)). And, it turns out, both my mom and husband kept my attention busy during lunch via phone and Messager. 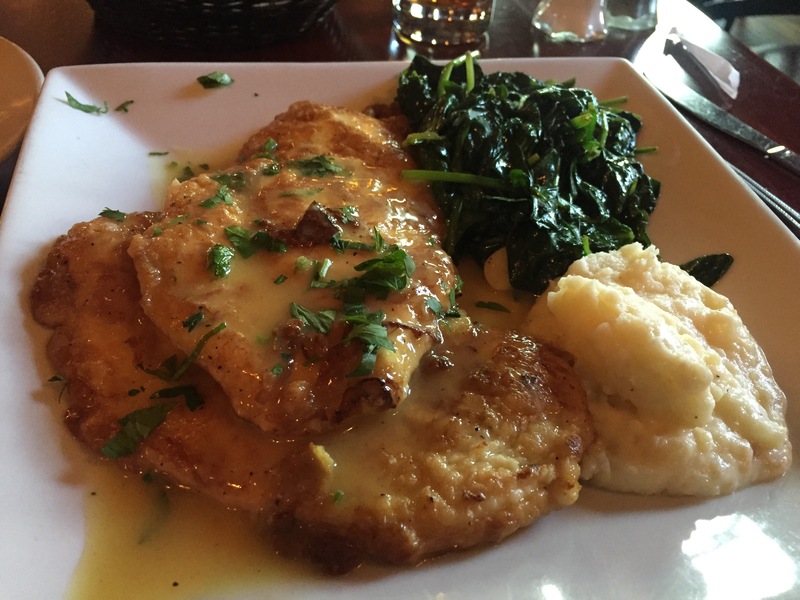 Today’s special was Chicken Francese (French-style, I believe), which was 2 lightly-floured and sautéed chicken breasts with a lemon sauce, dotted with various fresh spices. It was served with mashed potatoes (underwhelming at best) and my suggestion of sautéed spinach with garlic. Consensus: Tres magnifique! And, since I skipped the wine and drank iced tea instead, I am extremely energetic now…I’m off to the races again!